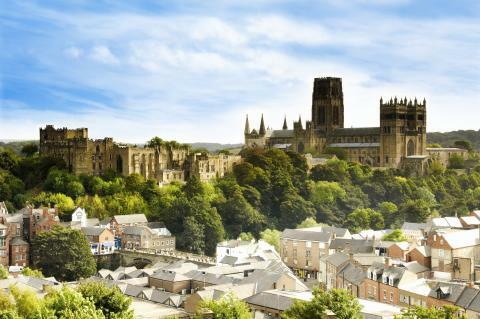 Lucy Winskell, Pro Vice-Chancellor for Business and Engagement, collected the award last night on behalf of the University at a ceremony at Durham Cathedral. Dr Heather Robson, Associate Dean, Business and Engagement, who has worked tirelessly on this agenda with Lucy, also attended the event with a number of colleagues and guests. Northumbria is committed to supporting the creative and cultural sector in the region and works in partnership with a significant number of organisations including BALTIC, B x NU, Live Theatre and New Writing North. 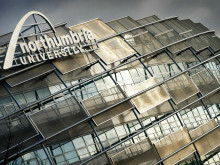 Lucy said: "The cultural partnership approach is at the heart of what Northumbria University does. We believe connecting the right people with the right partners for the right reasons will deliver the right outcomes every time. By working in partnership with like-minded organisations, Northumbria seeks to retain 'home-grown' talent and boost economic, social and cultural development in the city and beyond and, in doing so, support new and unique learning opportunities as well as cultural offerings. 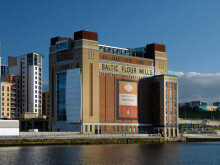 Examples include a strategic partnership with BALTIC, B x NU, which has resulted in a thriving artist community of students, staff and practising artists and an ongoing relationship with New Writing North which has seen the establishment of a research hub for new writing and involvement in events such as the Durham Book Festival, and the International Crime Fiction Festival. 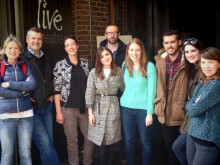 Northumbria is also extending its partnerships further with Live Theatre, Tyne and Wear Museum and Archives and Tyneside Cinema. 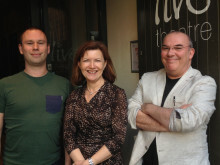 Two academic members of staff were also nominated for their work. 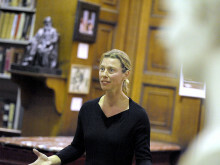 Jane Arnfield was nominated in the category of Best Performance of the Year for her production of the Tin Ring and Kate Craddock was nominated Best Event Tyneside for her work with the Gateshead International Festival of Theatre.